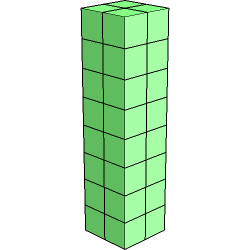 Each tetracube consists of 4 dice. 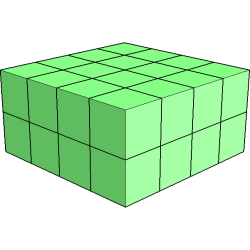 There are 8 tetra cubes, 5 are flat, 3 are real three-dimensional. 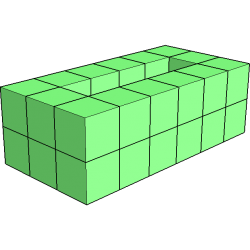 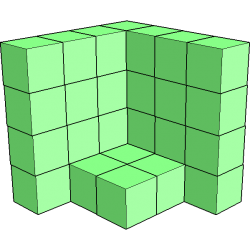 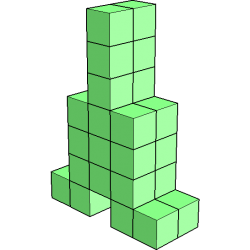 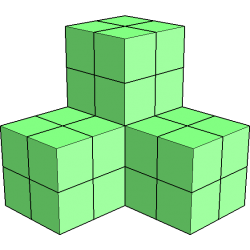 Figures from all 8 Tetracubes consist of 8×4 = 32 single cubes. 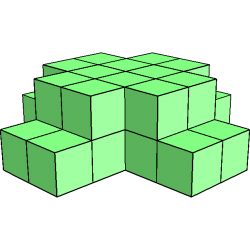 Tetracubes can easily be made from wooden cubes. 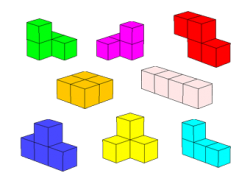 You can buy them in a craft shop or online. 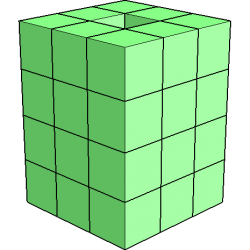 Wooden cubes can also be sawn from square cross sections (from the DIY store). 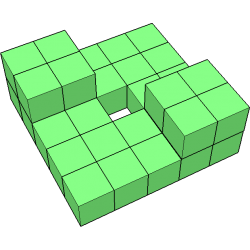 From 32 dice you can form 2 different blocks: 2x4x4 and 2x2x8. 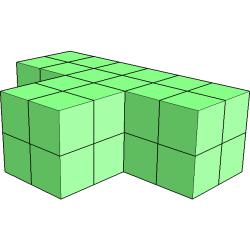 There are solutions for both cubes. 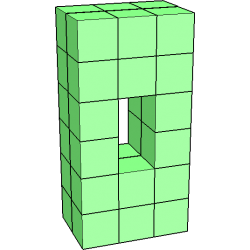 All 8 Tetracubes can also be built enlarged. 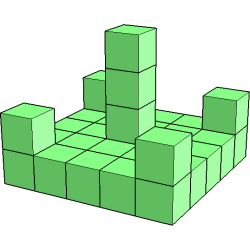 In addition, there are many other interesting figures, some of which can be seen below. 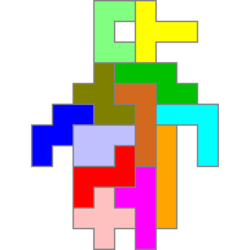 You can download a program for creating and solving tetracube figures from the download page.